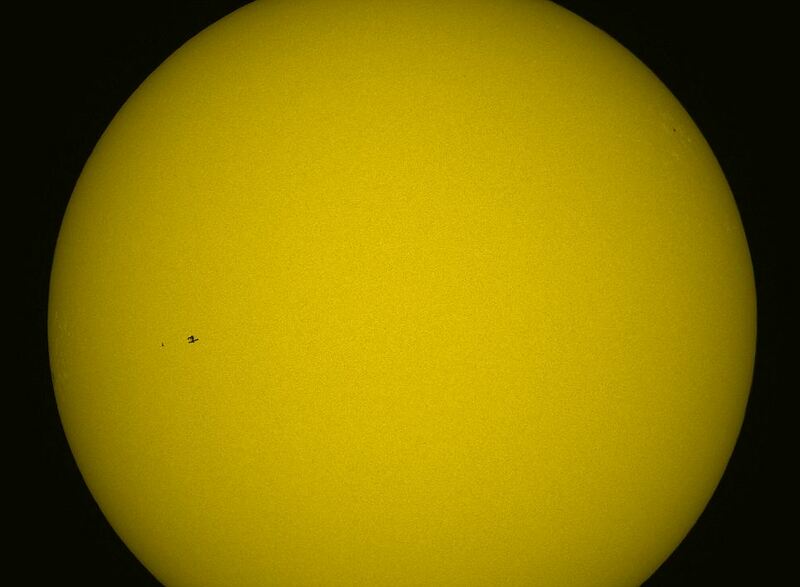 Against the awesome backdrop of the sun, they are at first little more than specks. Look a little closer, however, and you can make out the outline of solar panels, and next to it a dart-shaped silhouette. 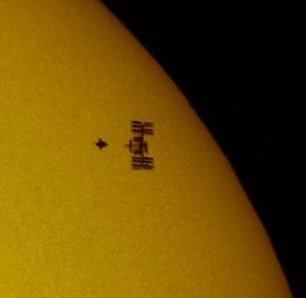 This extraordinary image shows the Space Shuttle Atlantis docking with the International Space Station in front of the sun. It was taken by astro-photographer Thierry Legault who, had he blinked at the crucial moment, would have missed it. For despite detailed planning and even travelling from France to Spain to take the image, the actual event was visible for just 0.54 of a second because of the speed of the two spacecraft. 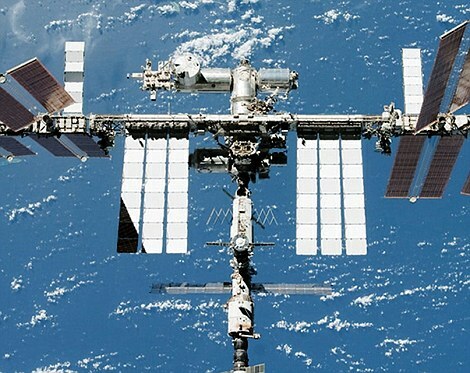 The 48-year-old Frenchman travelled to Madrid so he would be in the ideal location to watch the transit of the two spacecraft. This placed him in the centre of a five-mile wide visibility band that stretched across Spain, southern France and Northern Italy. 'I came to Spain as the rest of Europe was expecting poor weather on Sunday,' he said. It is even more impressive when you consider the two spacecraft were 250 miles away and moving at 4.6 miles per second or 16,500mph. Mr Legault caught the moment just 50 minutes before the space shuttle Atlantis docked with the International Space Station. The snapshot was taken in broad daylight at 1.28pm on May 16 using a specialised SBIG ST-10XE mounted camera and a 14in telescopic lens. To ensure the quick-moving craft could be captured in direct sunlight with his camera, he combined a pin hole-sized aperture, letting in only a little light, with a extremely fast shutter speed. Also, because he used to a prism on the lens to filter out the light, the sun appears almost ghostly and without flares. The Shuttle was in the process of performing a back flip so that astronauts on board the orbiter could study the heat shield for any damage caused during the launch. 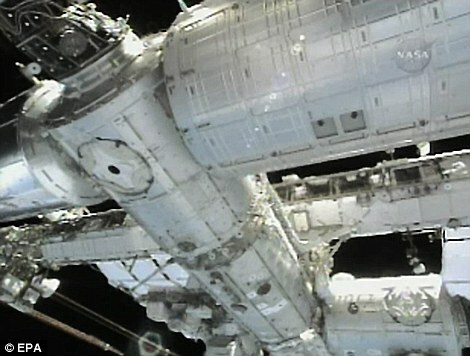 The six crew on board Atlantis were delivering an antenna, Russian module and other spare parts to the orbiter. 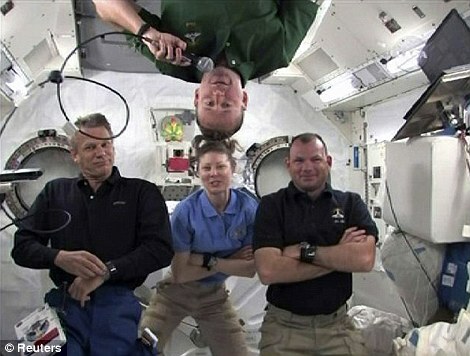 In doing so they have doubled the number of crew at the Space Station to 12. It is Atlantis' final journey before it is decommissioned. 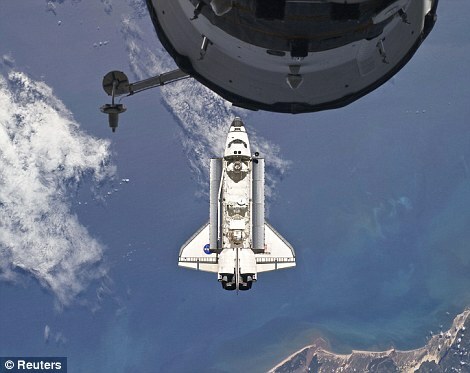 The Shuttle is due to return to Earth on May 26. 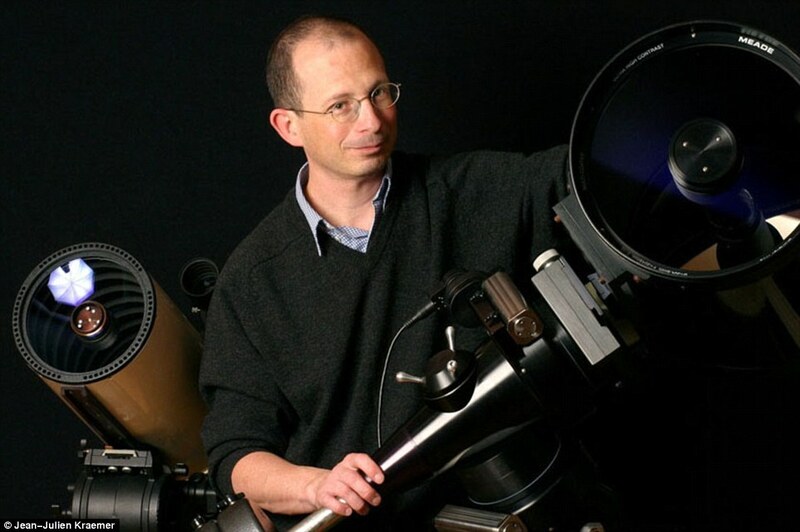 The space enthusiast worked out the ideal sighting of the station using the Celestial Observer website called calsky.com. 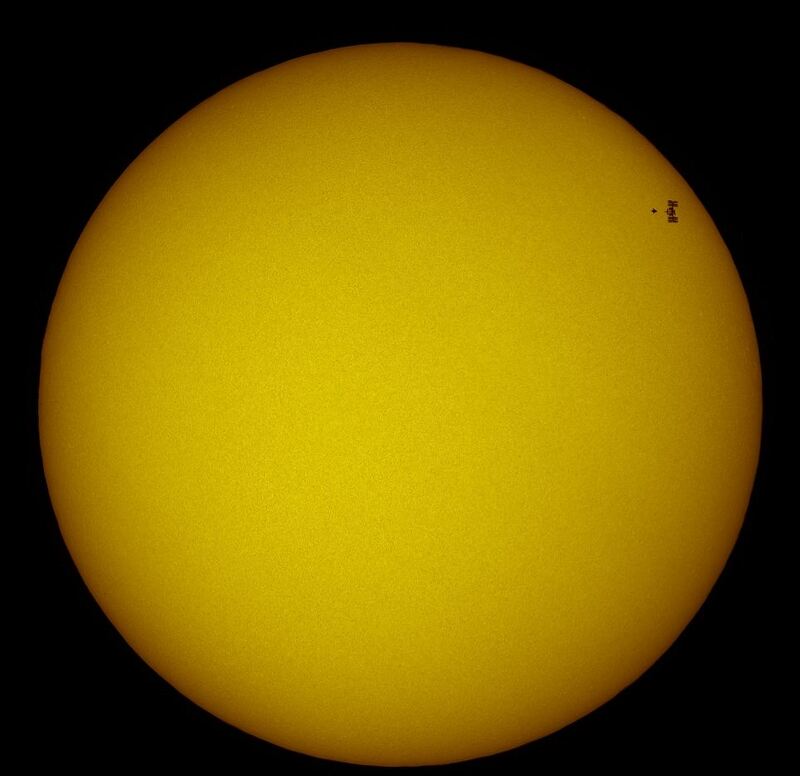 He used a Canon camera with a telescope attached and an exposure lens that allowed him to point it directly at the Sun. Announcing Google TV: TV meets web. Web meets TV. Happy Van Damme Friday: Finish Him! !